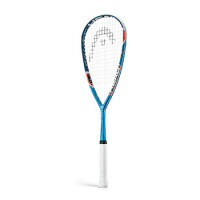 Best Sqaush Racquets Reviews Want to find the best squash racquets so you can beat your competitors? We, here at Reviews Bee, can help you find the best one to play with! Let’s start with a description of the game of squash, or as it was once called, squash racquets. It is obvious that squash is a racquet sport. It is normally played by two or four players. The game is carried out in a four-walled court with a small, hollow rubber ball. The nature of the game is that the players must strike the ball with the racquet and hit it to the allowed parts of the surfaces of the four walls of the court. The game is very interesting and entertaining and is, no doubt, a good, healthy exercise for your body. In the table below we have information for you about the main differentiating features of squash racquets. 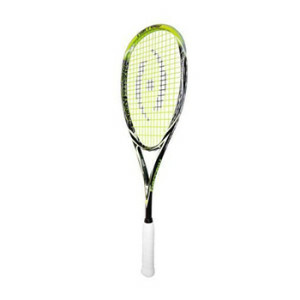 This will give you the opportunity to choose the racquet that will have all the features you want. The game mostly requires these lighter weight racquets. The reason for this is that the pace of the game is usually very fast, and if the racquets are too heavy, they will tire you out easily, and reduce the chance of you winning your game. 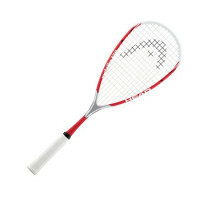 The standard weight of squash racquets varies from 100-190g. 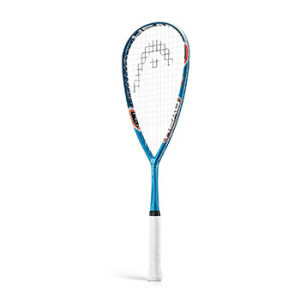 You need to consider your own personal weight as a starting point, to choose the weight of the racket you want to purchase. Normally, the lighter the weight of the player, the lighter racquet they choose, and obviously heavier players choose heavier racquets. This is not the only way to determine your racquet weight, for some professional players use a lighter or heavier racquet than one would usually choose. However, if your swing is comparatively slow, then you need a little heavier racquet. In the end, it is all about your personal preferences and comfort. We differentiate between head-heavy, head-light or evenly balanced racquets. Each kind has its advantages. Each player will have a personal preference when it comes to the balance quality of the racquet. 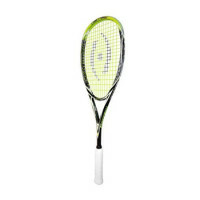 Head-light squash racquets have their weight nearer the handle part of it and the “head” is lighter in comparison. They offer high-quality manoeuvrability for fast shots, but squash players sometimes have a problem with controlling it. This is a great selection for volleying. 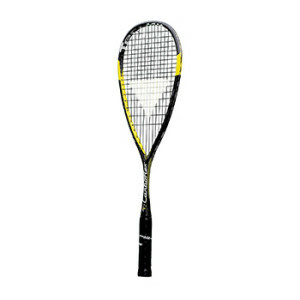 Head-heavy squash racquets are heavy at the head end and can offer more opportunity of power to the player. This type tends to make contact with the ball easier and effortlessly. The even balance racquet is a little harder in its manoeuvrability, and is not known for its power. It is a good starter racquet for a player until they determine were their strength lies. Then, most players choose one of the other two types. But, again, it all depends on individual needs and preferences of the player and they type of game they are known to play. Some experienced players stay with their even balance choice forever. There are higher-tension and loose-tension types of strings. The former gives a rise in the control issue, as to the latter, they increase the amount of the power that has been generated. Higher tension stringed racquets do see more string breakage than the thinner counterparts. As to the thickness of strings, the thicker are more durable. 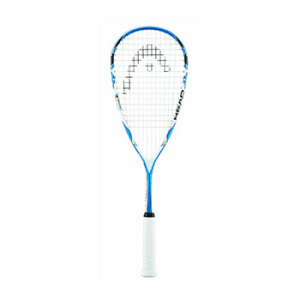 Now, the thinner strings may be less durable, but will enable you to control and feel the ball. However, quality strings are usually custom made according to the customer’s wish. 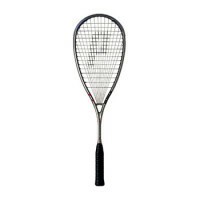 Nylon string, which is cost effective, is seen on many squash racquets, but they do not offer good grip for the ball, when struck. There are two forms of racquet throat shapes: open or closed. The open throat shape is characterized by a larger string-bed area, a larger sweet spot and hence are inclined to be more “forgiving”. It provides more power than the other type, but a bit less control. There is definitely more bounce for the ball on this kind of racquet, and players who prefer it know and take advantage of that fact. As to the closed throat type, those have shorter main strings, an adequate sweet spot and are used by more experienced and professional players. 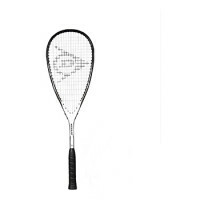 When playing “doubles”, users tend to go with this kind of racquet the most. 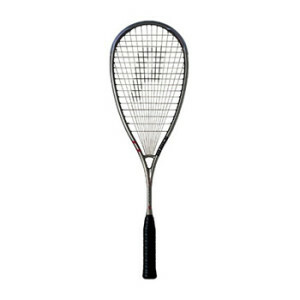 Try to choose a squash racquet that is durable and made of quality materials thus, resulting in long-term use. It is possible to restring racquets, but you don’t want to have to do that often. Pay attention to the shape of the grip handle, it should be not only comfortable for your hand but also durable. As with any kind of sports equipment, taking good care of it will result in longer durability. Lack of quality care will considerably diminish the amount of time you will be able to use your racquet. The prices of squash racquets vary depending on their quality, the material that they are made of and other important features. 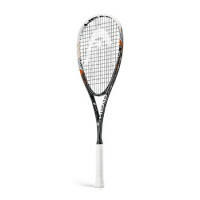 If you are a regular player and your games are on the professional level, then we would not recommend you buy squash racquets that are made of aluminum or composite frames, as those are normally designed for random usage and for non-professional players or beginners. 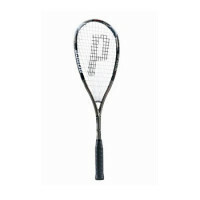 We would advise an experienced squash player who likes and enjoys the fast pace of the game on a regular basis, to purchase squash racquets that are made from either premium graphite or titanium. Be ready to pay a little more for a quality squash racquet. 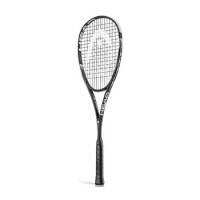 However, if you can’t afford your first choice of squash racquet, start with one that is less expensive, such as an aluminum racquet, and use it until you are ready to buy a better one. 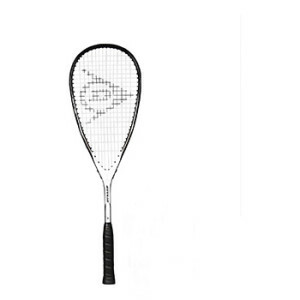 Follow our tips to buy the best squash racquet on the market for a better game! Note: No matter of how high the quality of your squash racquet, you will always need some time to adjust to it and get better results. The total Reviews Bee rating sums up the overall picture of every product. Reviews Bee works tirelessly to ensure that we are providing the best product recommendations to you and your family. In rating the various sqaush racquets available, we strive to give you the best information possible.Our algorithm includes information from both expert and consumer resources. There is no need to spend hours on researches, because Reviews Bee instantly gives all researches and analysis for you and creates a Top list to save your time and money. Reviews Bee collects consumer review information from popular retail websites including Amazon, eBay, BBB, Yelp, Consumer reports, etc. In addition, Reviews Bee utilizes reputable market niche websites, to include in the product ranking decision. Using the feedback of actual customers in coordination with expert evaluations enables us to provide each product with a score that takes into account all trustworthy information available on that item. 2. We Analyze the Data Expert Popularity Score, Expert Ratings, Consumer Popularity Score, Consumer Ratings and Consumer Complaints are inserted into our algorithm in order to calculate our Reviews Bee Score. 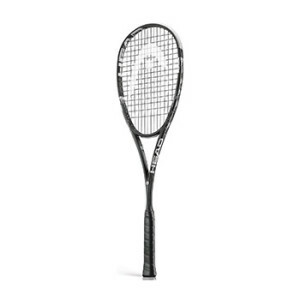 This score, in turn, is used to rank each sqaush racquet in our Top 10 recommendation. 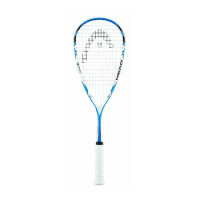 The Reviews Bee score is a summary of each of the most important factors indicating the value of a sqaush racquet. 3. We Deliver The Best Results By taking each of these essential factors into account, we are able to give each sqaush racquet an overall Reviews Bee Score that ranks each product against the others in our Top 10 list. By using a vast array of expert and consumer ratings, reviews, and feedback, Reviews Bee provides you with the most comprehensive analysis of product information available to you. You can make your purchase knowing that the best research was utilized to make your decision. We came up with the popularity score for every sqaush racquet provider while analyzing 19 expert sites that are trustworthy. Based on our detailed evaluation, each sqaush racquet is assigned an expert popularity score based upon how many times each product is positively mentioned by experts in the industry. By analyzing all the expert review sites our algorithm summed up the average ranking for every sqaush racquet in their rankings and that is how we came up with the final score for each sqaush racquet brand. We managed to gather more than 6070 reviews from 75 reliable sources and our algorithm calculated the average score for each brand. In order to understand how satisfied those consumers were, we analyzed the total number of reviews. We collected all the reviews and the number of stars people gave for each product. Based on these findings we came up with the average customer rating. This is how we managed to bring out the sqaush racquet reviews through which you know how the consumer can rate the sqaush racquet. In order to make our results authentic, we don’t limit ourselves to just the positive rankings factors but we also take complaints from all over the web into consideration and figure out how many customers were complaining about the product. Through this, we show both sides of the product whether it’s positive or negative in nature. This then makes it a negative factor in our algorithm. This as a result makes the best sqaush racquets reviews. That is why sqaush racquets reviews not only have positive comments mentioned but also the negatives as well.